I have the privilege to introduce and write about my friends here. Each of them have contributed positively to my life and as a result I've grown to be more understanding and open-minded person. And not to mention I love chatting with them and have fun times together! I take this opportunity to express my heartful thanks to my friends. "Go East or West; Friends are the Best." 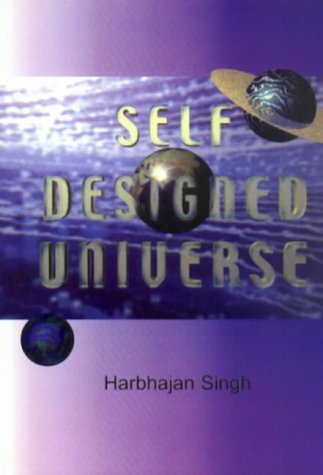 "Give me four basic forces or interactions of nature and I will give you the whole universe" says my friend and author Harbhajan Singh in his new book "Self Designed Universe". I have known him like 5 years now but only on internet.. never got opportunity to see him in person but I wish to one day :) He has profoundly influenced my spiritual side and I have at times bugged him with my stupid questions about GOD and Universe. Well his book reveals the all-time mystery of our UNIVERSE - How it came into being; why and what is beyond that - to put it into simple concepts. 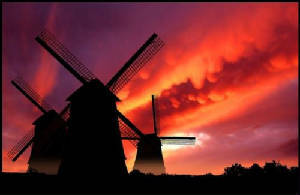 As I understand two mystical insights which he calls the experiences of "Oneness" rewarded his quest. One showed him that "All is One". 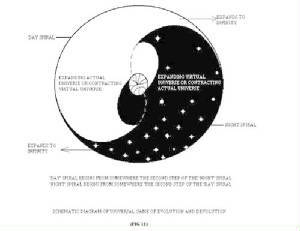 And the other, that "All" evolves through a single spirituo-scientific law, that of going through four basic interactions at myriad of hierarchical system levels. He has translated his enlightened insights into a book which is his lifetime work. Now his purpose is to make this book available to this world. Please visit his website to find out more about his book and if you have any questions or want to seek answers to your deepest quest do contact him; he can be your guidance! "Never, never be afraid to do what's right, especially if the well being of a person or an animal is at stake. Society's punishments are small compared to the wounds we inflict on our soul when we look the other way..." that what Nick's philosophy goes and rightly so because we are here to love and spread happiness wherever we go. Nick is a b'ful soul who relentlessly, painstakingly and passionately fights for animals' rights and their place in this world. 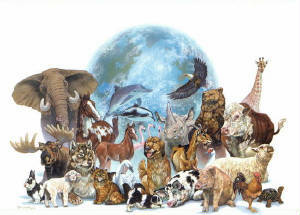 He's an Activist in Animal Rights, Animal Welfare, Envrionment, Ecosystems.. the list goes on. Please support him in his efforts and endeavors to make this world a better place for animals and everyone. 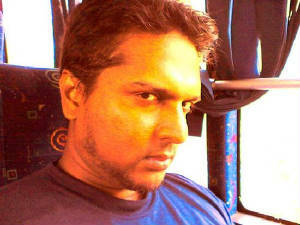 Please check out his websites and write to him if you wish to get added on his list. Live with a smile and bring happiness to all is the mission of Min Min. Beautiful at heart she is my dearest friend. Her smile is contagious and her kind nature is admirable. 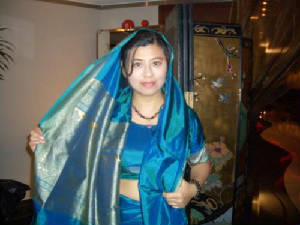 She loves to wear Indian outfits, eat Indian food and her favourite travel destination is India. She's got an entrepreneurial spirit and runs her own Real Estate Business. Her website is truly inspiring and full of inspiring and funful stuffs. Check out her website! If you guys want to know about property market in Hong Kong then she is the best advisor. Please contact her. Click here to email her! How to keep your customers happy is the lesson I'm secretly learning from my friend Peter Li. Handsome, friendly and charming, this young man knows how to win people's heart. I never see him as my Insurance Agent but a friend. His friendly and sincere approach created a bonding relationship between us. He's an outgoing person, loves hanging out with friends and loves basically all the sports but just not the tabletennis as he thinks he doesn't have the talent to play this skillful sport! But hey he's the champion in Soccer!! He used to study back in the UK when he was 9 years old and returned home 5 years ago. He's an insurance agent in the world's largest Insurance company "ING". 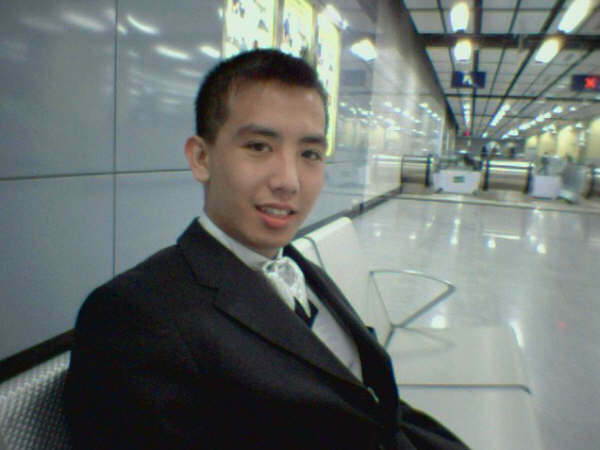 Needless to say if you wish to know more about Insurance Products and how it can be a good investment then Peter is the best person to contact in Hong Kong.